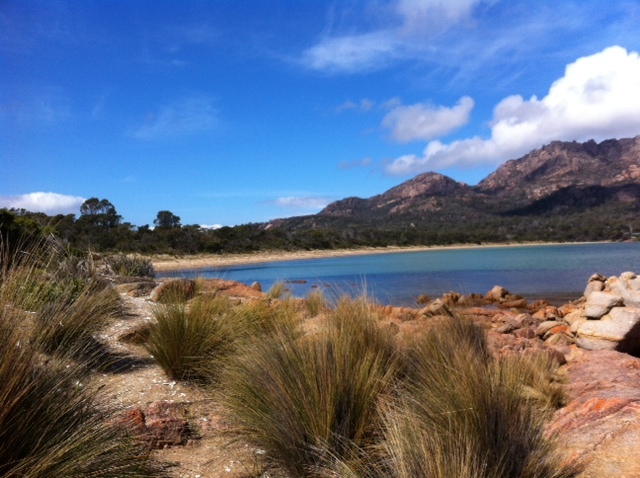 Freycinet is such a lovely word to roll off the tongue. 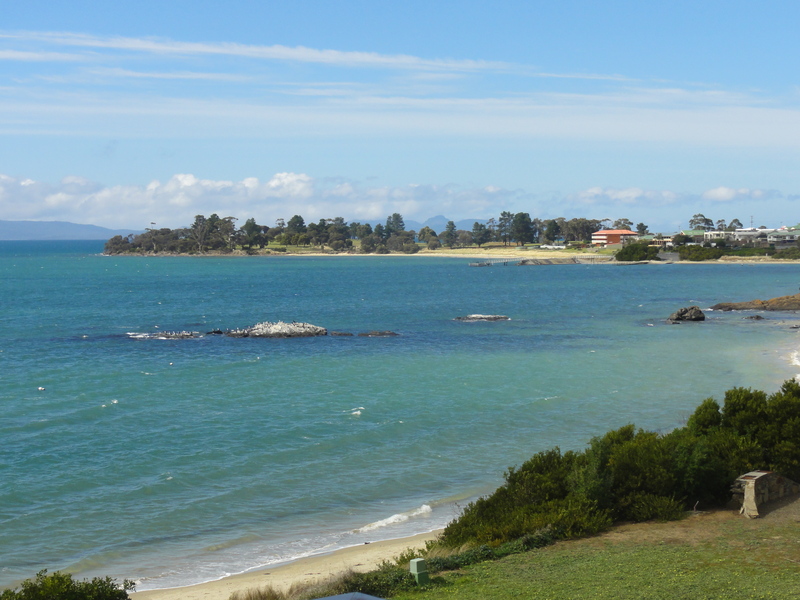 But how did a picturesque peninsula on the east coast of Tasmania gain such a French name? For thousands of years the Indigenous Oyster Bay tribes lived there. In 1642 Abel Tasman sailed by mistaking the peninsula for an island. Then in 1802 a French expedition visited the peninsula. Leading the expedition was French explorer Nicholas Baudin. His ship’s cartographer and navigator was Louis Claude de Freycinet. Freycinet charted, mapped and published his findings of Terra Australis, including his namesake the Freycinet Peninsula. There is an interesting addendum to Freycinet’s story. In 1816 the French Navy commissioned him to lead a voyage to South America again via Australia. But Freycinet was newly married and was desperate not to be parted from his wife Rose. He decided to smuggle his wife on board and Rose dressed as a man to avoid being discovered. She wrote a journal of their voyage, which was published after her death. What an adventure for a woman of that time. 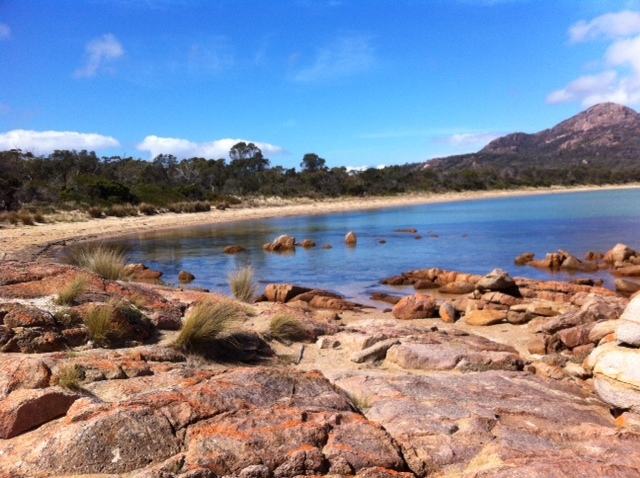 But back to Freycinet National Park. 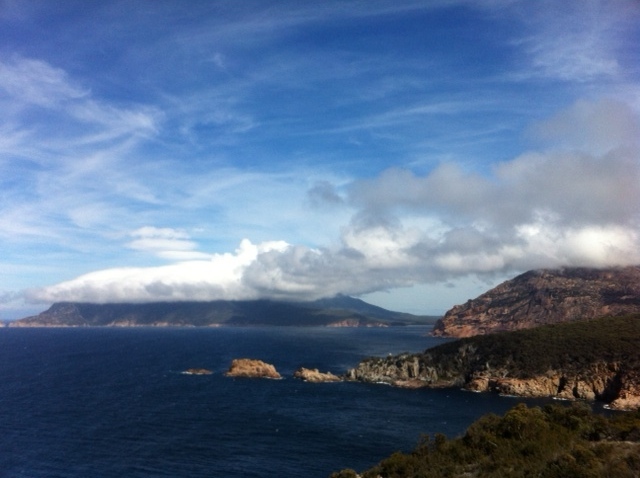 Freycinet is the oldest national park in Tasmania. It was established in 1916. The peninsula is located on the East Coast about two and a half hours north of Hobart. Just past the tiny hamlet of Coles Bay is the national park visitor centre. 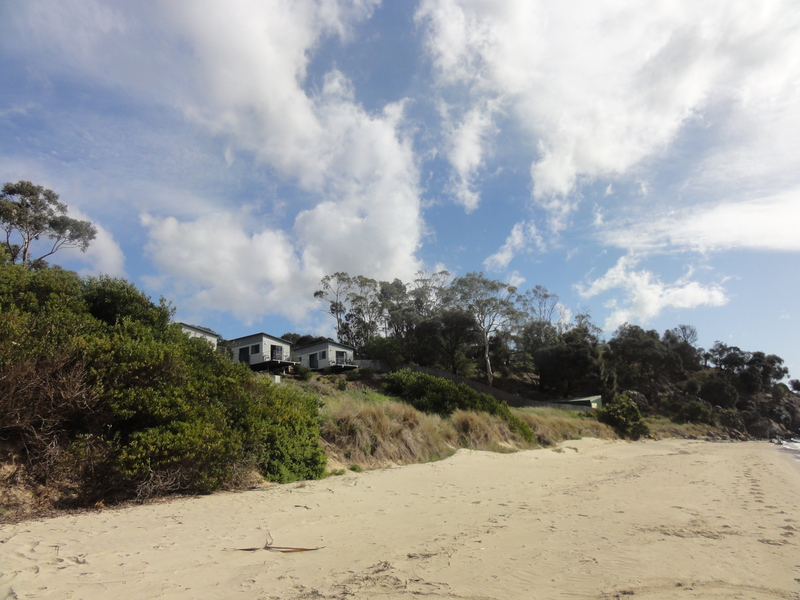 We weren’t sure whether to undertake the long hike to Wineglass Bay, as it is a two hour roundtrip to the lookout and a further two hours to Hazard’s Beach and the bay itself. The helpful rangers in the visitor centre provided us with maps and information about all the sights. Directly behind the information centre is Robinsons Beach and Honeymoon Bay, where the smooth pink granite rocks topped with orange lichen offer a lovely natural colour palette. 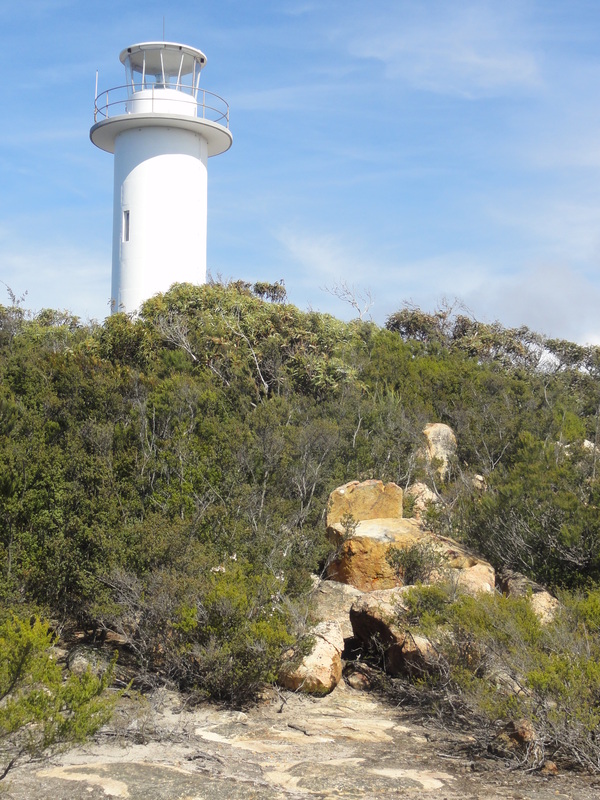 The rangers also pointed us towards the Cape Tourville Lighthouse walk where an incredible boardwalk leads along the headland to reveal another stunning vista along the southern coast. 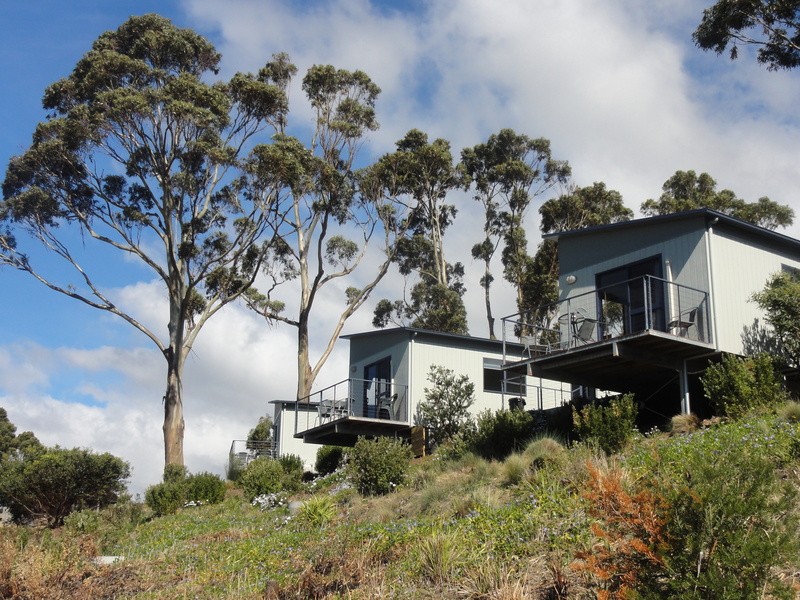 We based ourselves at Swansea, 50 minutes south of the Freycinet Peninsula, staying at the reasonably priced waterfront Swansea Beach Chalets. 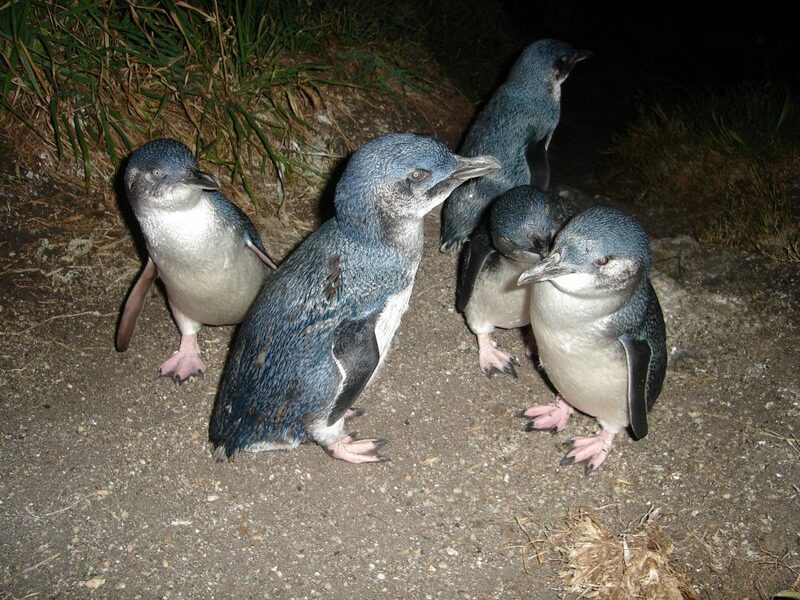 In Bicheno just north of Freycinet we booked with Bicheno Penguin Tours. 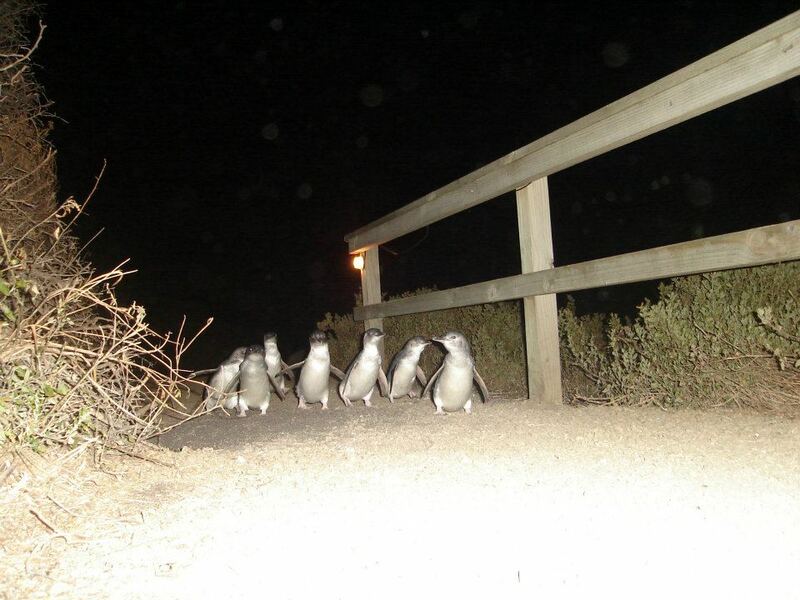 In the freezing early evening we were bused to a private beach to see the adorable fairy penguins waddle up the beach and into their nests. Swansea Beach Chalets are comfortable, clean & reasonably priced. The State Library of NSW has the journals of Rose de Freycinet as part of their collection. ABC Radio National’s Earshot program has produced a great podcast about Rose & her journals.